When you’re in the market looking to buy a brand new car, which of its features do you consider the most? For many people, they usually judge a car based on its engine capacity, fuel efficiency or size. There are only few who would pay attention to the car battery. Being one of the most important parts of a modern-day vehicle, the car’s battery handles a lot of tasks and devices to keep it running especially now in the age of computers. 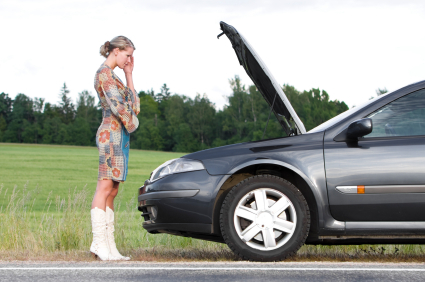 Two of the most common reasons for roadside assistance calls are damaged of flat batteries. Most of these breakdowns happen because the batteries that were in use were too old to take on its usual tasks. The life expectancy of a car battery is typically between four to six years. However, there are many factors that determine how long it can last. But before we go any further, let’s learn about the types of car batteries that are available today. These are the most common automotive batteries that are being used today. Just like how its name implies, these batteries start the car while also providing the power to its ignition, radio, lights and more. This type of battery supplies a steady amount of power over a longer course and is better suited for marine, recreational and golf carts. 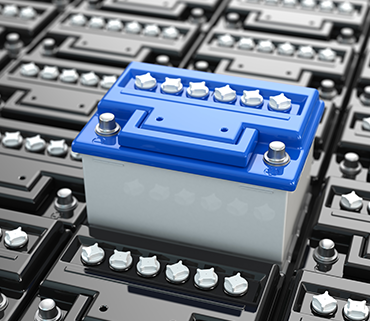 VRLA batteries don’t need water to be added to its battery cells and don’t need to be maintained as much. Since they require less maintenance than others, this type of battery comes sealed and will not spill in case it gets inverted or tipped over. Two notable types are the Gel Cell and Absorption Glass Mat (AGM) batteries. This type of battery gets its name because it contains liquids which create the battery’s electrolyte. Although less expensive than others, it doesn’t provide the same cycle life and convenience of VRLA batteries. This battery not compatible with most vehicles but is instead being used by electric and hybrid cars. Lithium-ion batteries can store a significant amount of energy and cost less compared to traditional lead-acid designs. Testing and inspecting your car batteries regularly will go a long way to preserving its life. Doing a routine inspection on a monthly basis is recommended by experts to keep it running at optimum performance. Make sure that the top of the battery is dry and clean. You can clean the battery terminals using a wire brush every 6 to 8 months, but ensure that the connectors are removed first. Check that the screws, terminals, cables and clamps are free of damage, breakage or loose connections. All of them should be tight, clean and show sign of corrosion. For increased protection, you can add a thin layer of high-temperature grease to cable connections and posts. Check that the case of the battery doesn’t have obvious signs of warpage or physical damage. This often is an indication that the battery has been overcharged or overheated. Bring your car to a trusted mechanic or auto shop to get regular inspections every three months. Did you know John Hughes offers roadside assistance? now you can take advantage of our expertise. The heart of your vehicle is most likely its battery. If it’s no longer functioning well, your car won’t have the power to get started, move or perform its purpose. That is why it’s important to understand some of the common battery problems and what you can do to diagnose them. 90% of the time, the battery is the likely culprit in this scenario. If you find yourself with a car that won’t crank sufficiently to get it started, you can use jumper cables or a jump-starter box to get it to run. If you’ve been having intermittent starting problems with your car, this might be due to faulty battery terminals such as being corroded, broken, loose or calcified. You can counter this by checking that your battery cables are tight, firm and secure on its posts. Make sure that all of the cables going to the terminals are not falling apart or frayed. If all of the terminals are fine, it could be from parasitic draw (this happens when something in your car is continuing to drain power from its battery despite being turned off). The best way to investigate parasitic draw issues is to bring a trusted mechanic in. Keeping your car’s battery in mind is very important. If you continue to maintain and take good care of it, you’ll be rewarded with a solid car battery that can last longer than usual. Booking in regular check-ups, servicing and replacement from a trusted car repair shop will ensure that you have a vehicle that won’t die on you at the most crucial of times.